All technology evolves rapidly, and that is especially true in the field of digital radiography. Yet, it’s actually been around for quite a bit longer than many people think, and its future offers exciting possibilities. Let’s take an inside look at digital radiography, checking in on a few key points in its history and taking a glimpse at the future as well. 1987: The medical industry started its transition to digital with the first CR (computed radiography) system. It was manufactured and sold by Fuji, opening the industry to a new technology to replace analog film. Kodak, Agfa and Konica began manufacturing and selling their own CR systems. By the early 2000’s CR technology was extensively being used in the hospital market. In addition orthopedic physicians, imaging centers, and urgent care facilities began transitioning from analog film to CR. 2007: Almost two decades after the introduction of CR (computed radiography), the radiological industry welcomed a new advanced, more efficient, easy to use technology called DR (direct radiography). Eastman Kodak/Carestream introduced their first DR panel with the name “DRX”, with great success, but at a very high cost of acquisition. The DRX panel was used primarily in the hospital market, replacing the CR. Today: There are 12 different manufacturers globally that offer the DR panel technology at a very competitive price. Of those, the three largest companies are Varian, Thales & Vieworks. Presently the DR technology has expanded from being used in just the hospital market to all other segments, private practice, chiropractic physicians, veterinary physicians, etc. Today: The past five years has seen a dramatic increase in volume of sales and prevalence of digital x-ray systems. In 2016, there were approximately 25,000 DR panels sold around the world, with the U.S. representing about 25% of the worldwide market. 2020: It is expected that in the next three years, the global market will move from 25,000 to approximately 60,000 panels per year, with the U.S. maintaining that 25% market volume. Eventually, digital radiography will entirely replace analog and CR technologies all around the world. The transition will occur more rapidly in the U.S. than in many other countries because our advanced healthcare industry, technical knowledge and financial capabilities allow us to have a faster transition to DR. 20-? : New digital x-ray technology will continue to be unveiled and improved upon. That includes dynamic panels, an exciting development to look toward in the near future. 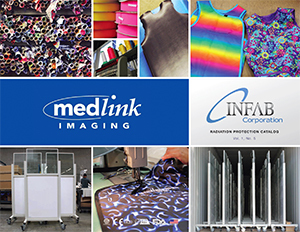 At Medlink Imaging, we are well-versed in all of the latest DR systems and medical imaging technologies. In addition to selling digital x-ray systems, we also service and support our customers across the United States, as well as Canada, the Caribbean, and Latin America. For any questions about which digital radiography system may be the right fit for you, or if you just want to talk about where DR technology is heading in the future, call us at 800.456.7800 or contact us here to learn more about our products and services.